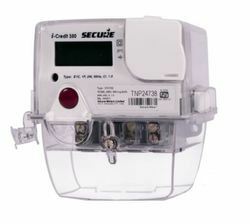 I-Credit 350 is an intelligent single-phase meter for demanding domestic and small commercial applications. - Available in Three Phase, Four Wire. - Range: 10-60A in Accuracy Class-1. Owing to the wide experience in this domain, we are instrumental in offering Single Phase Meter to our clients. This is Single phase 20A direct current measuring Multifunction Meter through which instantly convert the single phase equipment and measure parameters like V, I kW, kVA, kWh and interact with PC to on load monitoring through RS485 communication port. 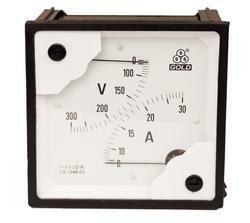 three phase static energy meter with counter upto 60Amps manufactured by techno meters and electronics coimbatore.